Miranda Dental Centre - Orthodontics is a specialist Orthodontics in Miranda NSW. The family friendly orthodontist team specialise in the latest technology. We provide dental implants Miranda, both functionality and aesthetically value to the look of a smile.dental implants allow you to eat and smile in Sydney. 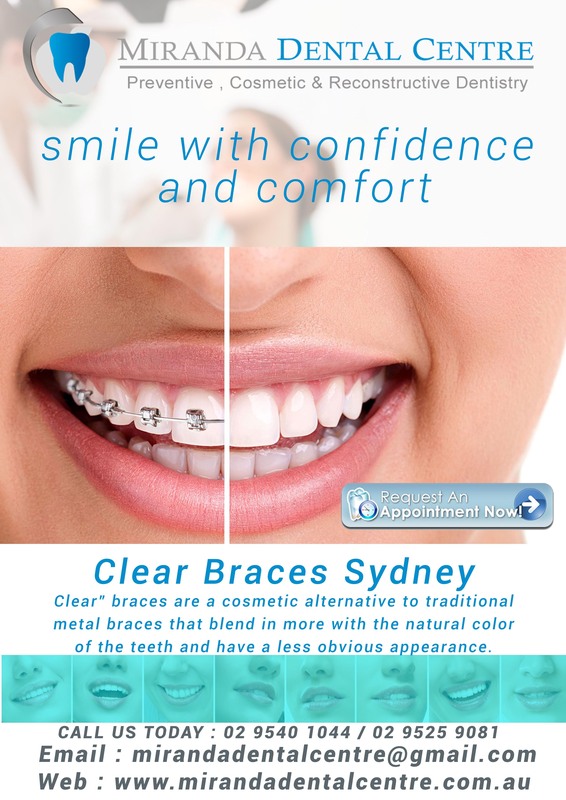 Clear Braces SydneyClear Braces Sydney – Dr Abhay Kohli at Miranda Dental Centre is a professionally qualified General Dentist (who has done comprehensive postgraduate course in Orthodontics and Implanatology) in Miranda nearby Sutherland Shire, Sydney Metro offering latest technology in Orthodontics including invisalign, Clear braces, aligners and other orthodontic services.Orthodontics movement of teeth through conventional braces is often an undesirable option to many patients, especially adults.